Just by paying affordable amount of Rs. 39.24 Lac buyers can possess their dream home in 24 Hrs. Ace Group offering low budget ultra-luxurious Ace City Flats to buyers which meet all needs of buyers. Greater Noida is the perfect location, incorporates with top rated infrastructure. Book your dream unit with Ace City. Whether your garden needs a complete over haul or just a spruce up. V.I.P. garden care packages can help! You don’t have the time to spend your weekends maintaining your garden? That’s what V.I.P. are for! It might be weekly, fortnightly or monthly services you require or perhaps a tailored package to suit your needs and budget. Selling your house, is this a big trouble for you? Let me do this little easy for you. Basically, you need to do a little marketing just like you would with any other kind of sale. You can, of course, use the help of a real estate agent to do the work for you, but it is important that you put in some effort as well. Our role as your exclusive Buyers’ Agent is to educate you about the Brisbane property market; we source, inspect, and evaluate all advertised and off-market properties, recommending only the best matches. We then manage all interactions with real estate agents and property owners, and negotiate skilfully in order to secure the best property at the best price. We're a boutique real estate agency with a niche selling property on the South Coast of NSW. From the Illawarra to the Shoalhaven, we list prestigious properties that will open new doors, capture your imagination and enlighten you on the true essence of the South Coast. The team at South Coast Prestige Properties believe in building relationships through honesty, integrity, professionalism and results. Uniquely placed real estate investment platform with offices in Singapore and Sydney, As a specialist hotel investor, With multiple accolades from international travel & hospitality business associations, M&L Hospitality represents an outstanding brand name in the hospitality industry with a proven track record. CGS FM offers facility services for your property including Building Management, Landscape Maintenance, Pool Maintenance, Fire Services & Security. Est in 1992 we have been achieving industry leading standards, adding significant value & retain high client satisfaction. Please visit our website www.cgsfm. 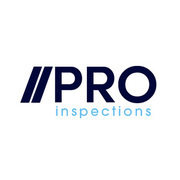 Pro Inspections offer a range of inspection services for Brisbane property buyers. All or our inspections have received relevant training and have had many years of experience in handling all kinds of building and home inspections. Our inspectors can provide you with an accurate report on the condition of your intended purchase to give you peace of mind when purchasing your next property. Alpha Build is the best construction management company in Sydney. We have custom home builders and contractors, which provide top residential construction services. Feel free to visit our website for any question! Contact Us :- Company name : AlphaBuild Australia Business Mail id : contact@alphabuild. 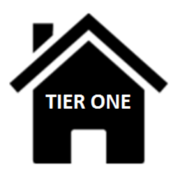 Based out of White Gum Valley in Perth, Tier One Building inspections has a wealth of knowledge in the property game. Whether it is a routine inspection or one designed to help maximise your properties value, we've got the skills and experience to get you a result. Contact us today on 0400 202 993 or 0411 619 295 and visit our website at tieronebuilding. We, at Sharnelle James Elders Real Estate, are the most trusted & reliable property agents who offer the best Residential Sales in Shailer Park. The experienced members of our team have thorough knowledge of Real Estate & have worked with all kind of client. 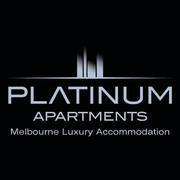 For detailed information on us, call us on +61 7 3440 8585. The Rockford 5 (221) is a cost-effective house with 5 bedroom, 2 bedroom and 2 car parking garage that provides a stunning living area and porch by Format Homes. 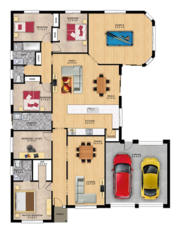 - Width 15.47 m - Depth 20.51 m - Living Area 220.02 sqm - Porch: 2.03 sqm - Garage 39.04 sqm - Total Area 261.09 sqm Visit: http://www. Choice property management is a “standalone” company which means we are not limited like franchises to only operate in one area. Our flexible structure allows us to successfully manage rental properties all over Adelaide Website: https://www.pcpropertymanagement.com.au/ Phone:08 8523 4111 Email:admin@pcpropertymanagement. We are a service source of sophisticated and innovative electrical solutions for household, commercial and industrial installations. Our variety of work to date includes petite scale Solar electricity systems in Sydney to huge scale school or university installations, as well as solar sculptures and constant solar continuance. Property development changed my life, and I know it can transform yours too. But it’s not luck – you need a system. Only my course can offer you access to over 30 years of property development experience.. Specialists in all aspects of Quantity Surveying: Tax Depreciation Reporting, Sinking Fund Forecasts & Insurance Replacement Valuations, Costing Reports, Progress Payment Reports & Estimating. Address: Brisbane, Rochedale, QLD, 4123, Australia Email: info@wrcqs.com.au Web: https://wrcqs.com.au/. We treat everyone with the same courtesy, be they seller, buyers or tenants. We offer our clients exceptional professional service. We strive to not only meet your expectations to to exceed them and ensure that your experience is both profitable and totally satisfying. Whether you are a Seller, Purchaser, Landlord or Tenant, we are dedicated to making “A Wow Experience” for your next real estate venture. 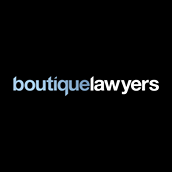 Perth settlement agent Residential Settlements has been completing property settlements for over 29 years. Today, we continue to apply our extensive experience to ensure your settlement is smooth and hassle-free. Having completed tens of thousands of property settlements for our clients, we’re well aware that buying (or selling) a home is one of the most stressful things people go through in life. Location One is a Brisbane Based Buyer’s Agent that works exclusively for the home buyer or property investor. We buy On and “Off” market property . We specialise in finding and securing property in the right location at the right price. We are competitively priced Website:https://locationone. Find your dream home in Broward County. Visit our website ineedtosellmyhousecsh.com to find homes that fit your criteria. Our top-rated real estate agents in Broward County are local experts and are ready to answer your questions about properties in Broward County. 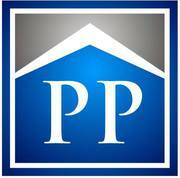 If you're looking to sell your home in the Broward area, our listing agents can help you get the best price. A mix of clever design and style makes the Flemington 3 by Format Homes a stand-out home for those wanting to maximise the potential of a narrow site. The Flemington includes three bedrooms, two bathrooms, double garage and multiple living areas. Home Specification: • Width: 8.99m • Depth: 23. 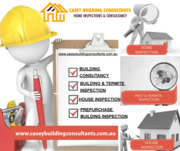 Property services Australia ads Australia, Property services classifieds Australia, Property services free ads Australia, ads for sale Australia, ads to buy Australia, FREEADSAustralia Page number 2-1. Find here ads for sale, to buy and rent in Australia. Goods for sale in Australia, vehicles for sale in Australia, Australia real estate for sale, Australia property for sale, property for rent in Australia, business ads in Australia, Australia business classifieds, services in Australia, Australia services ads, jobs in Australia, pets for sale in Australia, Australia dating, Australia cars for sale.